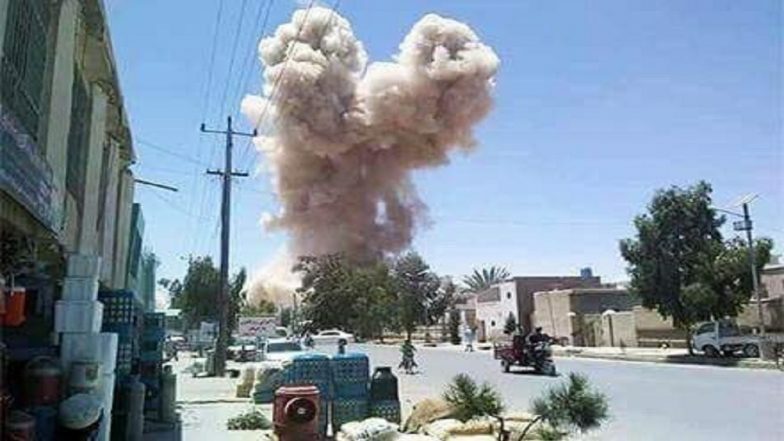 Mazar-e-Sharif (Afghanistan), April 2: Eight police personnel were killed and six others wounded after Taliban militants attacked a police camp in Afghanistan's Balkh province overnight, the police said on Tuesday. "The Taliban armed with guns and rocket-propelled grenades stormed an Afghan Local Police (ALP) base camp in Shaikhah village of Sholgara district. In an ensuing gunfight, eight police personnel were killed and six others wounded," provincial police spokesman Adel Shah Adel told Xinhua news agency. Afghan Vice President Survives Taliban Attack. Several militants were also killed and wounded during the gun battle, but their number could not be specified as the militants evacuated their casualties after the fighting, the official said. An investigation into the incident was ongoing. The Afghan National Defence and Security Forces remain in control of most of the country's population centres and all of 34 provincial capitals, but Taliban insurgents control large portions of rural areas, staging coordinated large-scale attacks against Afghan cities and districts since early 2018.